Brings James out of the shadows to show the important role he played in the beginnings of Christianity. - Publisher John Painter evaluates the many facts and traditions surrounding James, first bishop of the Jerusalem church. He examines his relation to Judaism and the epistle attributed to him - and explains why leaders have sought to minimise his significance. John Painter evaluates the many facts and traditions surrounding James, first bishop of the Jerusalem church. He examines his relation to Judaism and the epistle attributed to him - and explains why leaders have sought to minimise his significance. John Painter, PhD, FAHA, is the foundation professor of theology at Charles Sturt University, Canberra, Australia. He has published over one hundred chapters in academic books and journal articles. 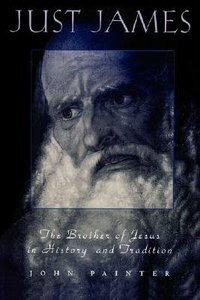 His previous books include John: Witness and Theologian, Reading John's Gospel Today, The Quest for the Messiah, Mark's Gospel: Worlds in Conflict, Theology as Hermeneutics: Rudolf Bultmann's Interpretation of the History of Jesus, and Just James: The Brother of Jesus in History and Tradition.